Known for their low (45cN) actuation force, Cherry MX Red switches provide rapid actuation through a light keypress - perfect for fast double taps. 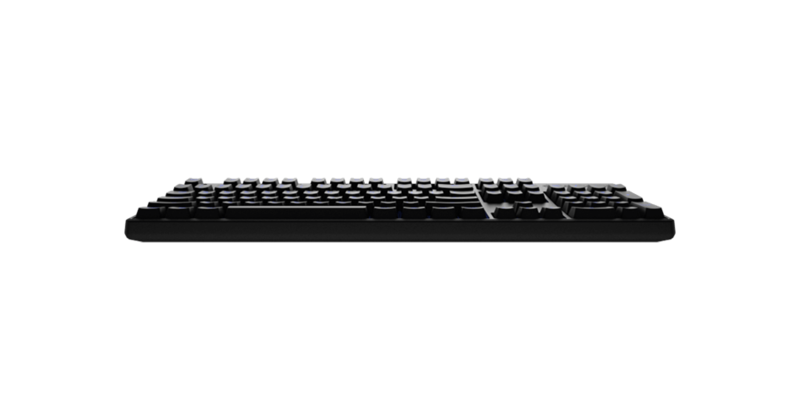 Reinforced with a steel back plate and formed with the toughest plastics, the Apex M500's construction and materials can withstand almost anything. How do I know if the Apex M500 is the right gaming keyboard for me? Great question! 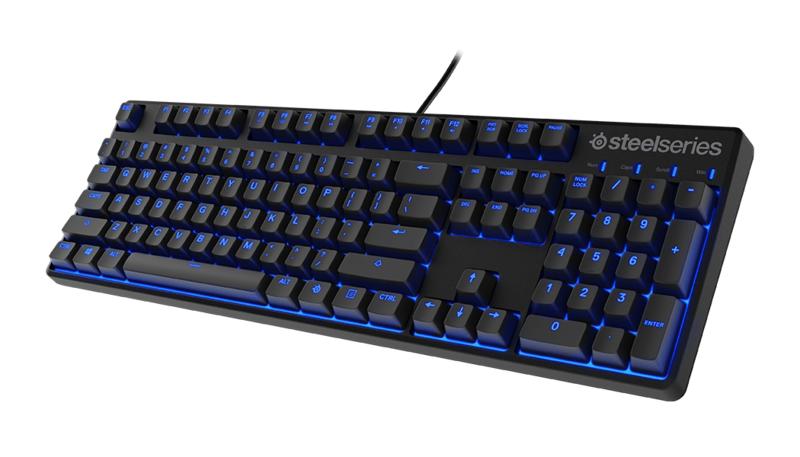 The Apex M500 is the perfect gaming keyboard for gamers who want a Cherry MX Red Mechanical Switch, full anti-ghosting, and a traditional layout. 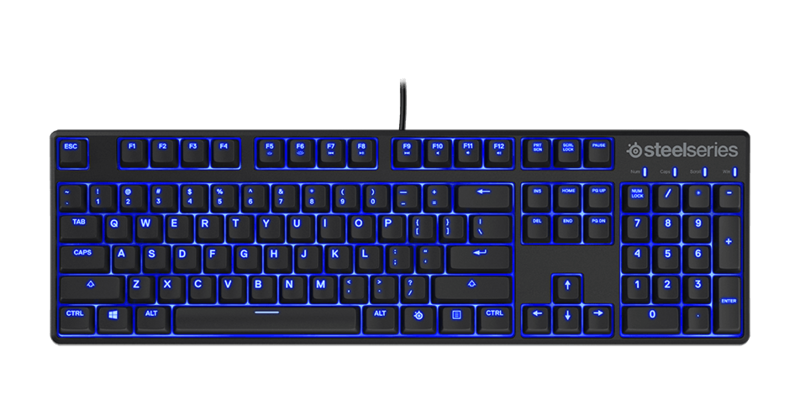 Alternatively, you can use our interactive keyboard guide, and compare the Apex M500 with our other gaming keyboards here. What are the benefits of the cable management system on the Apex M500? 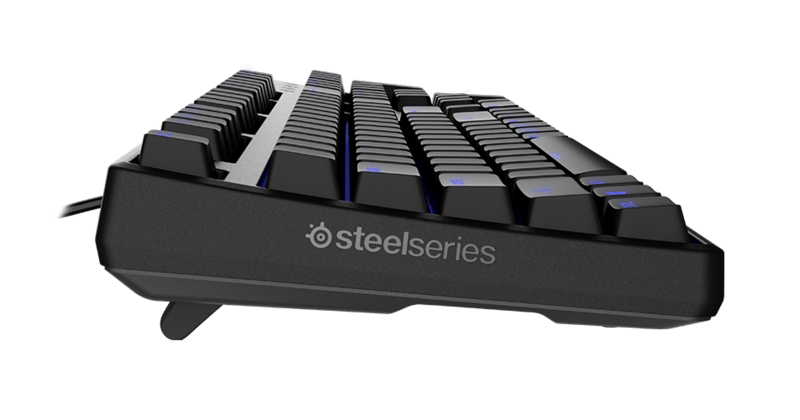 The cable management system allows you to securely run your keyboard's cable from one of three points along the back, giving you multiple options for the angle of the cable to fit your desk's setup. Can I get replacement keys for my Apex M500? Can I change the color of the Apex M500’s illumination? Unfortunately no, the keyboard only has blue LEDs. However, the intensity and patterns of the illumination can be changed.